Scan 83 in Trevone wood burning stove installation from Kernow Fires. 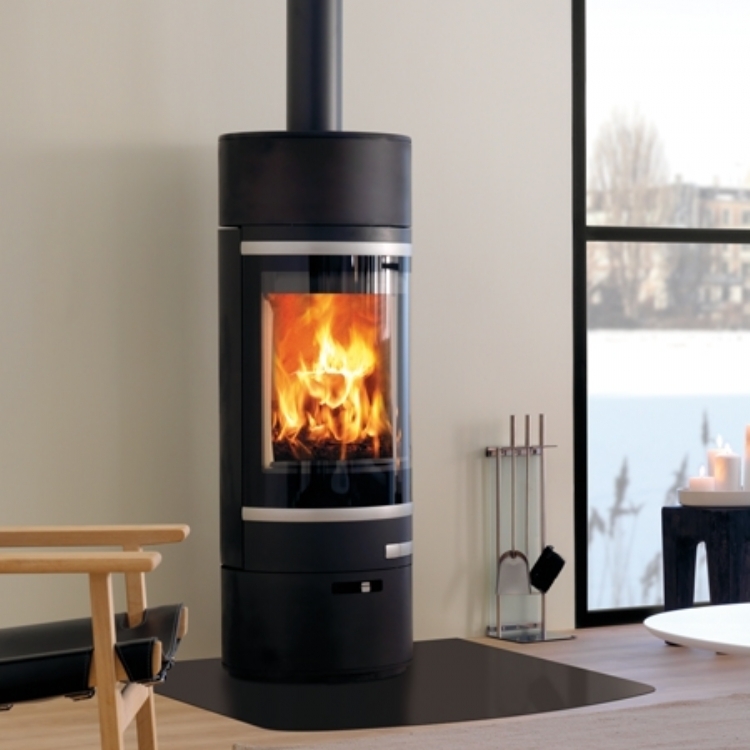 Customer Aspirations: Contemporary free standing stove. Customer Requirements: Circular hearth and feature ceiling needs negotiating. 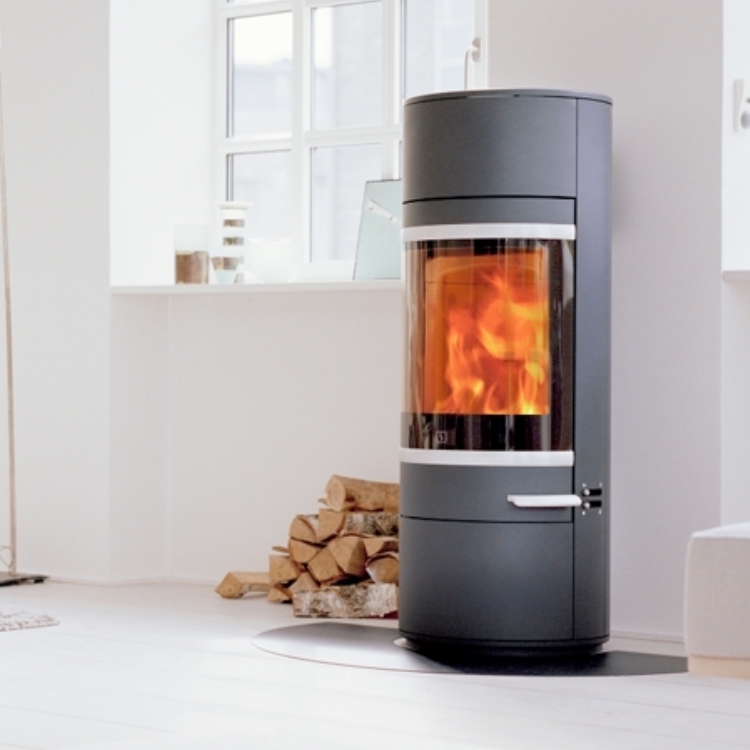 The Scan 83 with sliding door is lovely for a corner setting as the curved glass allows the fire to be viewed from all areas of the room. 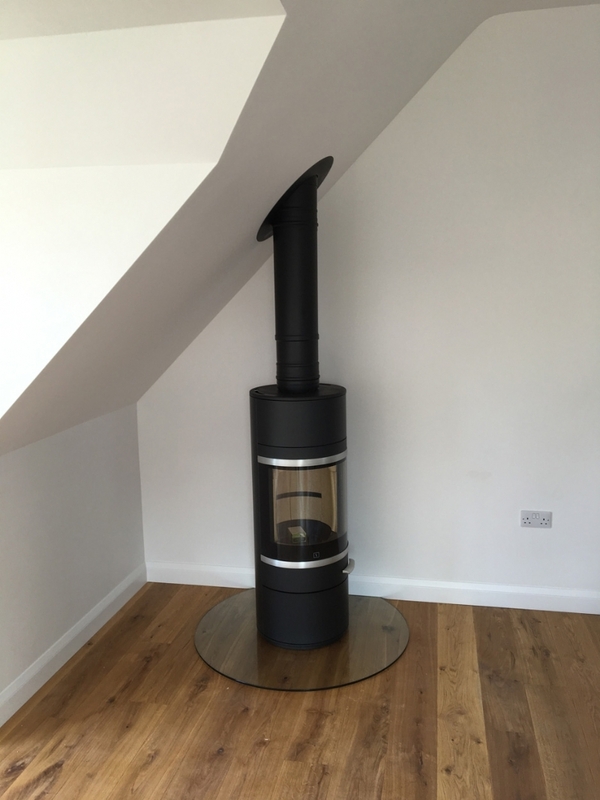 We finish all our installations with neat stainless steel disks fitted around the flue and painted to match. If a ceiling is at an unusual angle then we will get one made specially so that it looks perfect. The circular hearth is no problem and the use of glass in this setting is really lovely and less intrusive than a slate or darker coloured hearth would have been.